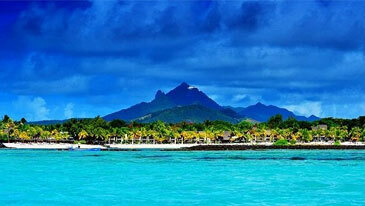 Île aux Cerfs is a privately owned island near the east coast of Mauritius in the Flacq District. 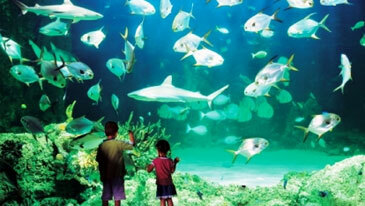 The island is the property of a five star hotel, featuring a golf course and beaches. 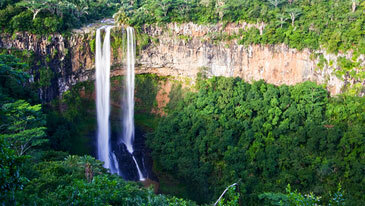 Black River Gorges National Park is a national park in the hilly south-western part of Mauritius. 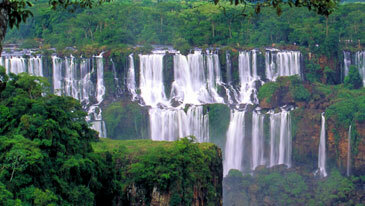 It was proclaimed on June 15, 1994 and is managed by the National Parks. 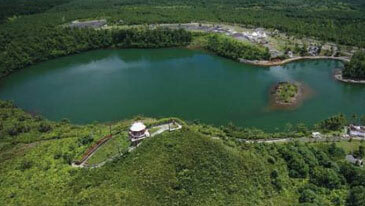 Trou aux Cerfs is a dormant volcano with a well-defined cone and crater. 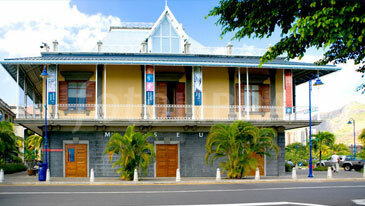 It is 605 m high and located in Curepipe, Mauritius. 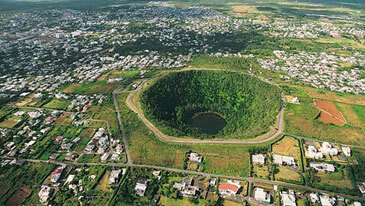 This volcano crater is found in Curepipe. 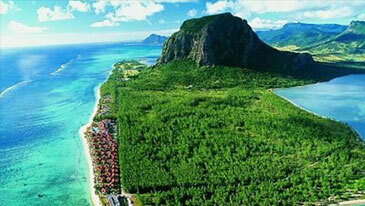 Flic en Flac is a seaside village on the western part of the island of Mauritius in the district of Rivière Noire. Its public white sandy beach is one of the longest and nicest. 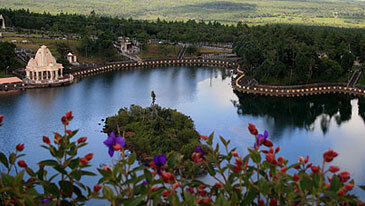 Mare aux Vacoas is the largest reservoir in Mauritius. 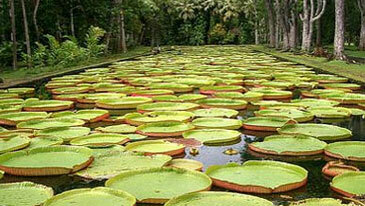 It is located in Plaines Wilhems, in the southwest of the island, to the south of the town of Curepipe.It has a capacity of 25.89 Mm³ and provide water to the upper Plaines Wilhems. La Preneuse is a public beach in western coast of the island Mauritius in the district of Rivière Noire located in the village of Black River. 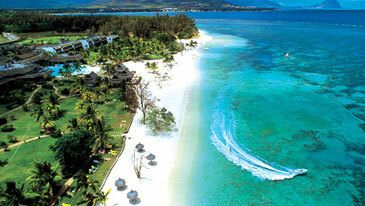 The beach is home to the best preserved Martello tower in Mauritius. 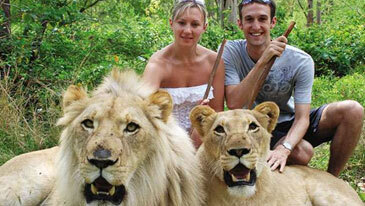 The Mauritius Safari and Bird Park is a real animal's sanctuary. It is located besides the Rempart Mountain on the South-West of Mauritius offering magnificent views of the countryside rolling down the west coast of Mauritius.